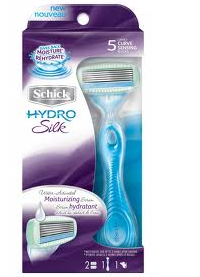 Target has Schick Hydro Silk Razor for $7.99-$8.49, plus there is a $4 off Schick Hydro Silk Razor Printable Coupon that can be stacked with the $4 off Schick Hydro Silk Razor Target Store Coupon, making these as low as FREE after stacked coupons!! As Low As FREE after stacked coupons!! You can find all Coupons and Deals We Post Here. can you also use the 10% off Schick Hydro Razor coupon from Target Cartwheel? If you have the more expensive razors, like my Target, you can stack an additional 10% off from Target Cartwheel. Target %-off Cartwheel coupons CAN be used with both Target Coupons and Manufacturer Coupons! WOO I payed $1 for a razor, thanks so much H4F! They are on clearance racks at our store for $6, so I made some money and I put it towards I free soda. Thank you very much I got 2 razors for free. I also got 4 of the mead folders you posted as well.